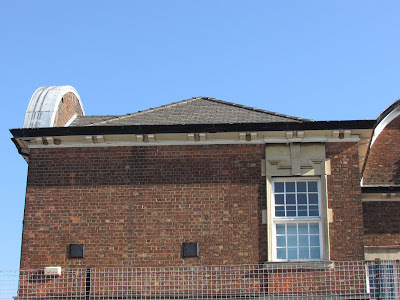 I always keep an eye for House Martin's nests near home. So far I had only counted three lone nests under house eaves, with evidence that before there were more together. 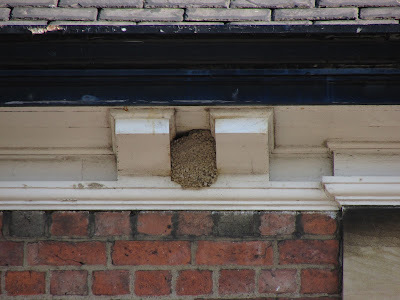 Despite this lack of local nests, I see plenty of House Martins around in summer, and I often wondered where they nested. Last week I took a different route to work, hoping to see the last chasing swifts of the season. As I walked, I noticed the soft chirping of many House Martins, they were flying, circling just over a street and coming close and away a building. I approached them, a group of more than 30, probably including many juveniles. Some juveniles were still inside nests, and the coming and going of feeding adults was well underway. 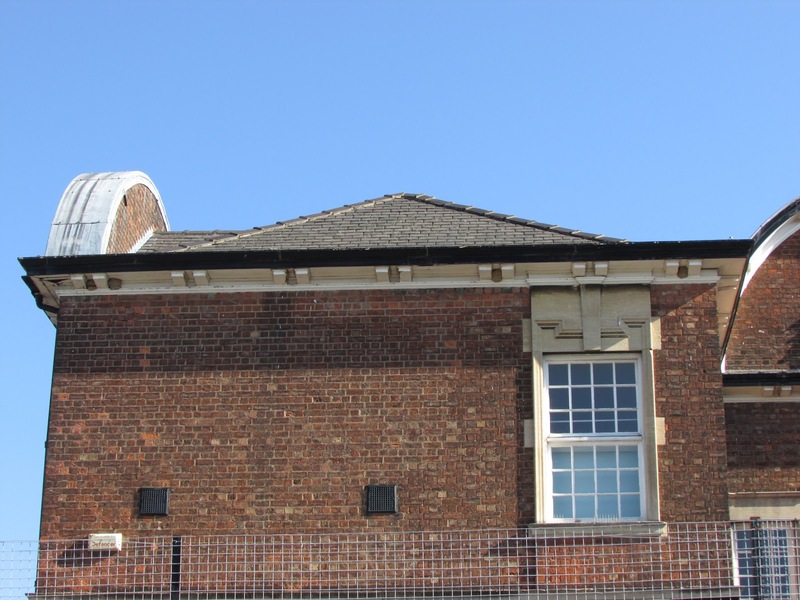 Their nests were located in a hundred year old building, a local primary school. 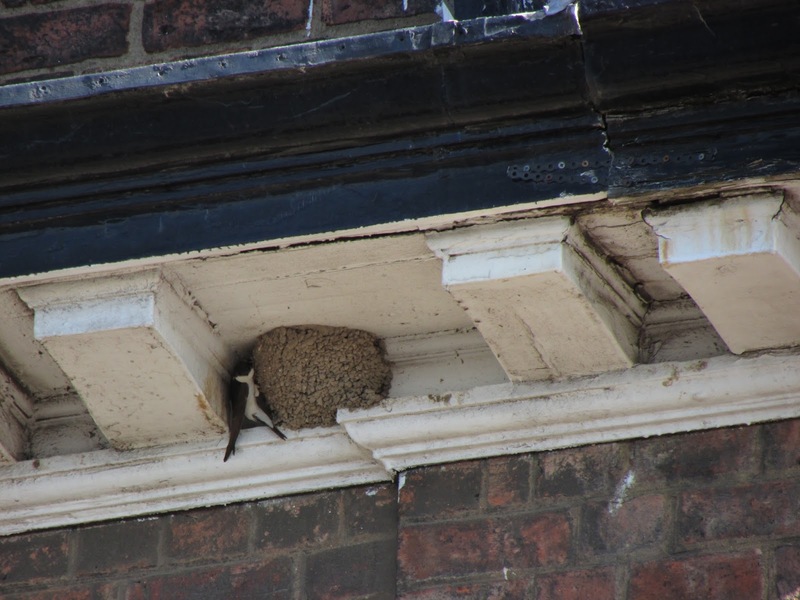 The roof has wide eaves with paired beams, and many of the nests were placed in between the beams. I counted 18 nests on the east south side, some looking very fresh, and there were as probably as many more on the other sides. 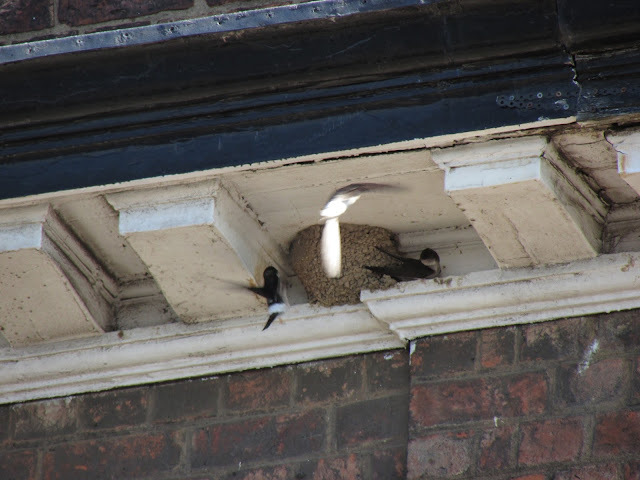 Lovely to see the activity of the colony, and also how vocal House Martins are when young are around, some chirping with a more shrill high call. 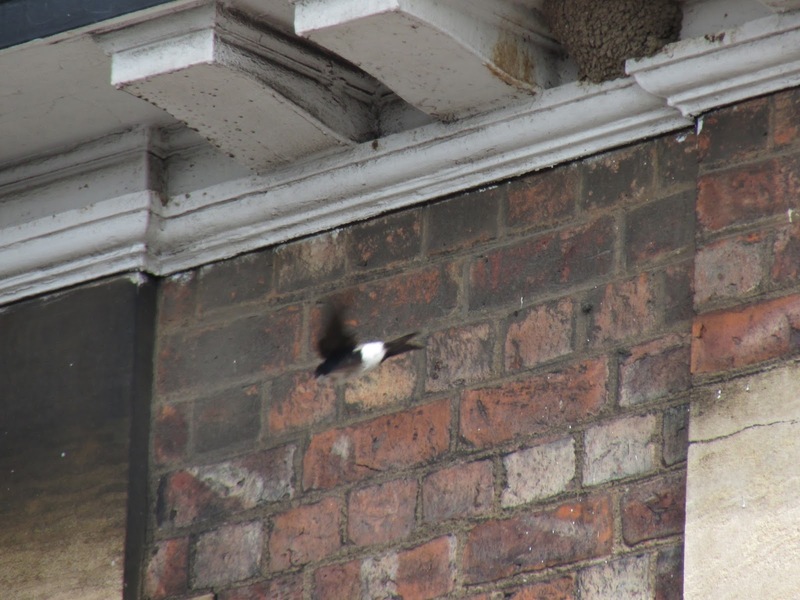 I know now that these house martins spend the summer at school. Aren't they amazing? The nests are so cleverly built.